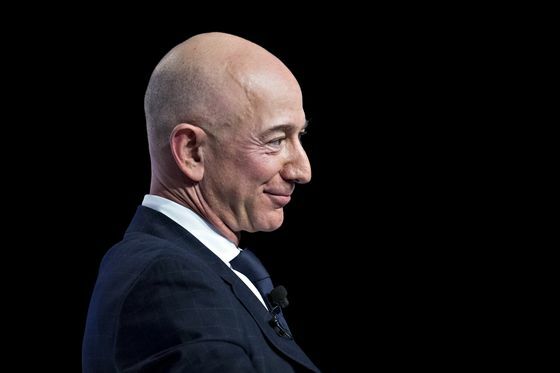 (Bloomberg) -- Jeff Bezos won acclaim by putting the Washington Post back on solid financial footing, but now he’s seeing the downside of media moguldom -- when your newspaper goes after powerful interests, those powerful interests go straight for the owner. There’s no one close of course to having Bezos’s profile in terms of wealth. He has a net worth of $133.9 billion. He paid $250 million for the Post in 2013 -- one of several of the super-rich who bought traditional media companies, in financial peril as ad dollars flowed in the billions to digital companies, especially Google and Facebook. The founder of Salesforce.com paid $190 million in cash for Time magazine last year. Marc Benioff is worth $6.8 billion. Biotechnology billionaire Patrick Soon-Shiong, bought the Los Angeles Times, the San Diego Union-Tribune and Spanish-language Hoy Los Angeles in Feb. 2018. His private investment firm, Nant Capital, paid $500 million plus $90 million in pension liabilities. Soon-Shiong is worth $8 billion. John Henry, owner of the Boston Red Sox, bought the Boston Globe in 2013 for $70 million in cash. It now has the highest number of digital subscribers outside of what are considered the four national papers: the Washington Post, the New York Times, the Wall Street Journal and U.S.A. Today, according to Doctor. Some powerful people, President Trump being one of them, covered closely by the Post as well as every other media outlet, see Bezos as their enemy. But many issues of media ownership are not confined to to-the-rescue billionaires, even if they have generally higher profiles. “When you’re a media owner, you’re going to find someone who’s trying to influence you,” said Rick Edmonds, a media analyst at Poynter.